Yeay! : 100 Followers and My New Baby - Hello GG! I just plan for making my first giveaway to celebrate my 100 followers. Ah, I am so exciting ! ≥ ㉦≤)/ Maybe I'll make a dress besed on my own design as my first giveaway. What do you think guys? I think that would be awesome and very original! How cute! Thanks for your comment. these shoes are very cute! ofcourse i'd like to follow eachother! I follow you now by bloglovin! I followed you by gfc too dear! hey, i really really like your blog! Btw. I'm writing in english and german and just started writing in english but from now i'll always write in english too. I love those shoes! I'm already following you! lovely shoes and i cant wait for your giveaway! i just made a giveaway for my 100 followers a few past days ago if you would love to join , i will very happy. 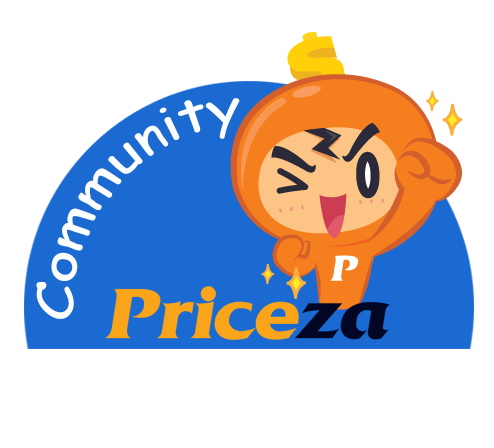 Like to follow each other! Do you follow me on bloglovin too? Congratulations on reaching 100 followers! 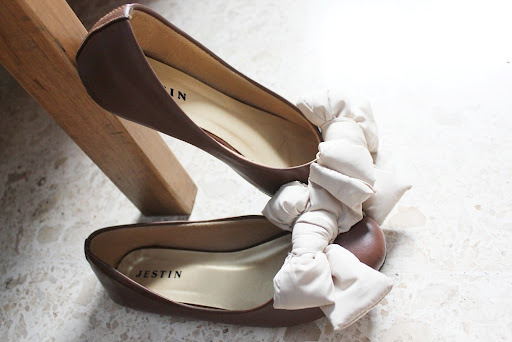 Your new flats are adorable, love the bows, they remind me of the ones from Prada :) Fist time visiting your blog, hope you'll stop by and would you like to follow each other? Those bows look so fluffy! so cute! how you do it? Lovely shoes and of course we could to follow each other! I follow you now! 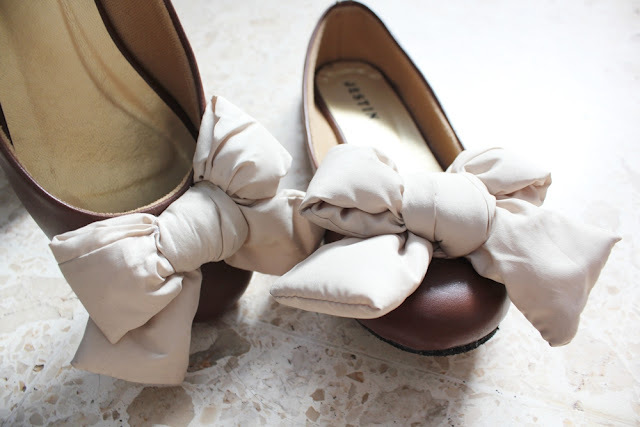 such cute flats with the bow detailing! !